Barn finds are scattered throughout the map, and it’s not an easy task to uncover each one. In this Forza Horizon 4 Barn Finds Guide we guide you through the complete list of Forza Horizon 4 Barn Find locations. This will also unlock some nice vehicles for your collection, and you’ll unlock some achievements. What exactly are barn finds? These are hidden old vehicles which need to be restored. 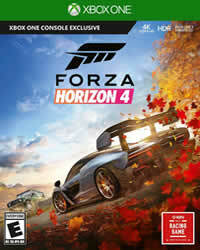 More Guides and News about Forza Horizon 4 you will find on our overview page. If you have just started Forza Horizon 4, the barns will not be unlocked yet. You will notice that the menu option for barn finds is discolored in the early hours of the game and will not unlock until the "The Behemoth Showcase" event in the northern part of the map ends. Depending on the progress of the game, you will receive information about one of the discarded vehicles, so you can not collect all the barn finds at once! The season also plays a role, some barn finds can only be found at a certain season! This Guide is under contruction!